Electric hobs cover a range of styles and models that include the traditional solid plate styles, ceramic designs as well as the latest in induction technology. In this guide we have included information on both the solid plate and ceramic styles. For more information on buying an induction hob, take a look at our specific induction hob guide here. There is also the added benefit of residual heat indicators that glow red after the hob has been used, alerting the cook that the cooking zones are still hot and not safe to touch. How does an electric hob heat up? 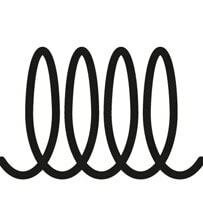 From the way that the coils are powered by electricity, this style of hob will not be as responsive as gas when it comes to temperature control. On modern electric hobs the electric zones will still heat up quickly and be easy to clean after use. How do you know if your hob is still warm after cooking? There is also the added benefit of residual heat indicators that glow red after the hob has been used, alerting the cook to the fact that the cooking zones are still hot and not safe to touch. Which pan size should I use? 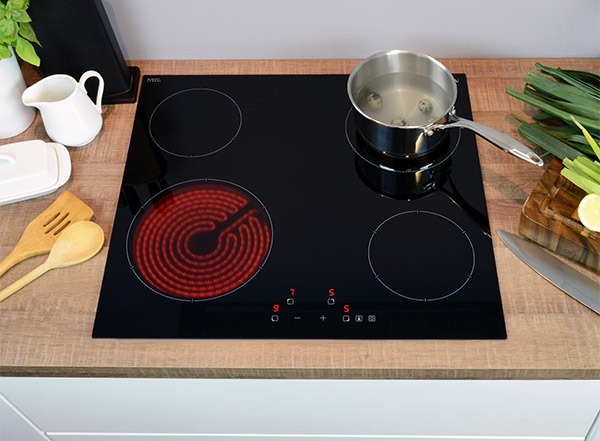 With electric hobs, there is the option of purchasing a model with one or more dual zones that operate in two size options, allowing you to use different pan shapes and sizes on the hob. This has both the effect of saving money by using only a small cooking zone when you are using a small pan or accommodating large pans for batch cooking or special occasions. 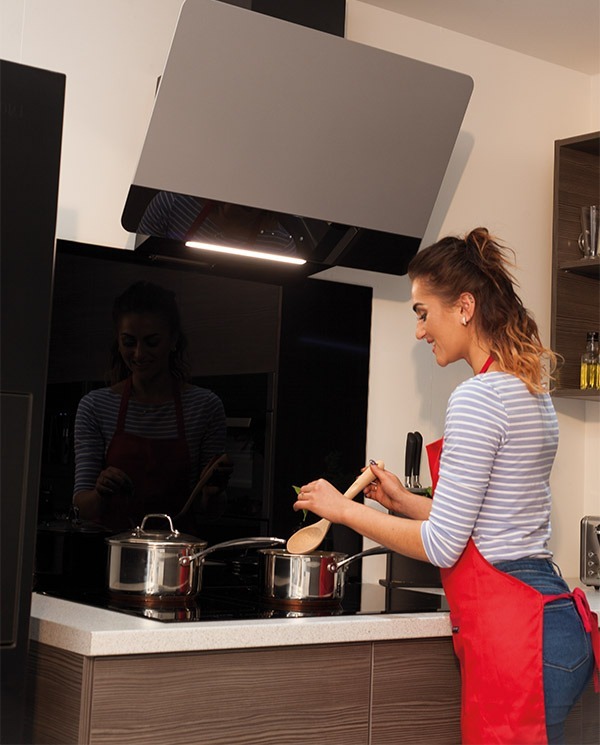 It is worth noting that electric hobs also come with a range of safety features, starting with residual heat indicators, heat & time limiters and extending right up to intelligent overflow protection and small object detection on the most advanced models. The solid plate electric hob is not the quickest off the mark, however it is affordable, easy to clean and allows the cook to multitask as it heats steadily. Sealed electric plate hobs work by a heating element being powered by electric. This element is covered by a solid metal plate. This style of hob is slower to heat up as the element heats the solid metal plate first, which in turn heats up the pan and contents above. This style is much less popular now that ceramic and induction hob models are available. It is however very affordable and could be the perfect choice for renovations on a budget. The heating elements are controlled by individual rotary knobs that switch the plate on and can then be notched up to the power level you require. There is also a residual heat indicator light that will let you know that one or more of the plates is either in use or still hot from recent cooking. How fast are solid plate hobs? Once switched on, this hob can take a while to heat up but it is important to note that if you have a pan boiling over you will need to lift it off the plate as well as turn down the power level. The plates need to physically cool down before an effect on the cooking food or boiling water can be seen. This is fine if you are used to using this style of hob but can be frustrating if you are new to electric solid plate as you may have the occasional pan boil over as you become familiar with the heat settings. Which pans should I use? For the best results, we recommend that you use only flat bottomed pans with this type of hob to ensure a good contact across the base between the pan and the plate. This will give you the maximum heat transfer between the heat source and the pan, and subsequent food or liquid, above. The solid plate style is reliable to use and requires very little maintenance. They can be a little more tricky to clean than a glass hob though as there are multiple surfaces to clean, especially if you have had a boiling over incident. You can expect no more hassle than with a gas hob when it comes to cleaning though and the stainless steel surface on the CDA model will buff up brilliantly with a soft cloth after cleaning. Opting for a ceramic model is a good choice for those wanting to avoid exposed flames in the kitchen, or if you do not have gas available at your property. There are also additional safety features like ‘child locks’ and ‘residual heat indicators’ that add to the safety of this cooking style. A ceramic hob is undoubtedly the easiest style to keep clean, along with induction, and the smooth surface allows maximum heat transference to achieve rapid heat up times. This type of hob is available in either a rotary control knob or touch control style. How does a ceramic hob heat up? 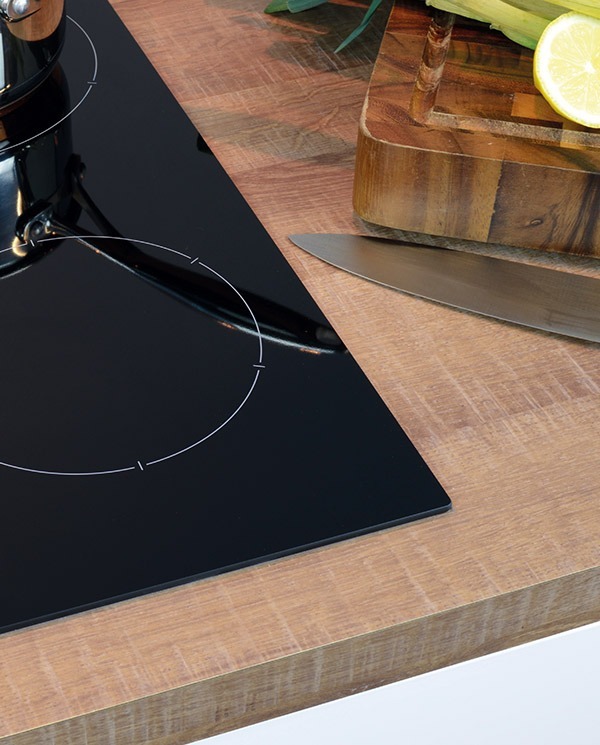 With an electric ceramic hob the heating coils are hidden beneath the shatterproof glass surface. The marked ‘zones’ on the surface of the glass indicate where you can put pans to cook on, the size of pan suitable for that zone and the position of the heat. Like with the solids plate electric hobs, we recommend a flat bottomed pan is used with this style of cooking. This ensures that the pan achieves the maximum contact with the heat source below to transfer the heat as efficiently as possible to the food or liquid you are trying to heat up. What are the benefits of buying a ceramic hob? 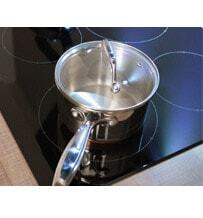 One of the main advantages of fitting a ceramic glass hob is that they are very easy to keep clean. The glass surface lends itself to being wiped down after the zones have cooled and the smooth design means that there are few surfaces to consider when cleaning it. 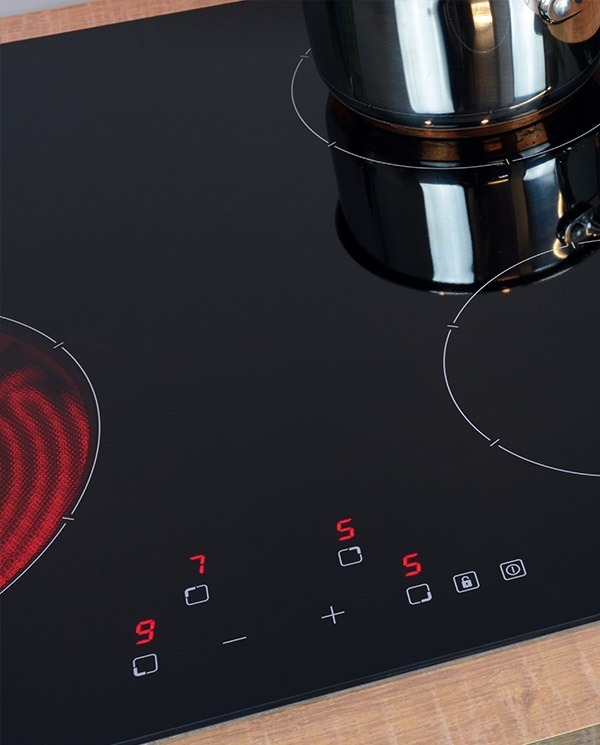 With a rotary controlled model you will have to clean around the knobs but with a touch controlled ceramic hob you can simply wipe over the entire surface. We recommend that you do not use any abrasive cleaners just in case you start to rub off the zone markings or touch control markers. Top Tip: If you have spilt something horrid on the hob or had cooking boil over and it has dried on to the surface, gently use a blade at an angle to lift the dirt off before wiping away. Do not do this over the zone or touch control power markers in case you accidentally remove them. Needless to say, be careful using this method! The glass surface of the ceramic hob is made from shatterproof safety glass, however you should still not bang or drop pans onto the surface in case you crack or damage it. Once damaged the surface must be replaced as it will be become dangerous due to the electric heating elements below. The ceramic style hob heats the pan and subsequently the contents through the conduction of heat, in the same way that the solid plate does. Due to the glass surface, the ceramic heating method is much faster than that of a solid plate electric hob. The cooling down and response time of the hob is much faster than a solid plate too, but it is not as reactive to the power being reduced as an induction or gas hob and the contents of your boiling pan will still take a few moments longer to settle down. How safe are ceramic hobs? 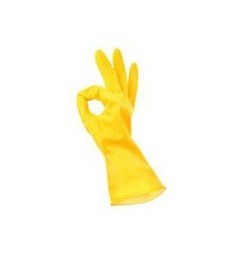 If safety is your primary concern, this may well be the perfect option for you. Ceramic hobs are fitted with technology that prevents them from overheating and built in residual heat indicators to let you know which zones have recently been used that will be too hot to touch or clean. As you go through the range from the more affordable models to the more advanced styles, you will see additional features like ‘overflow protection’. 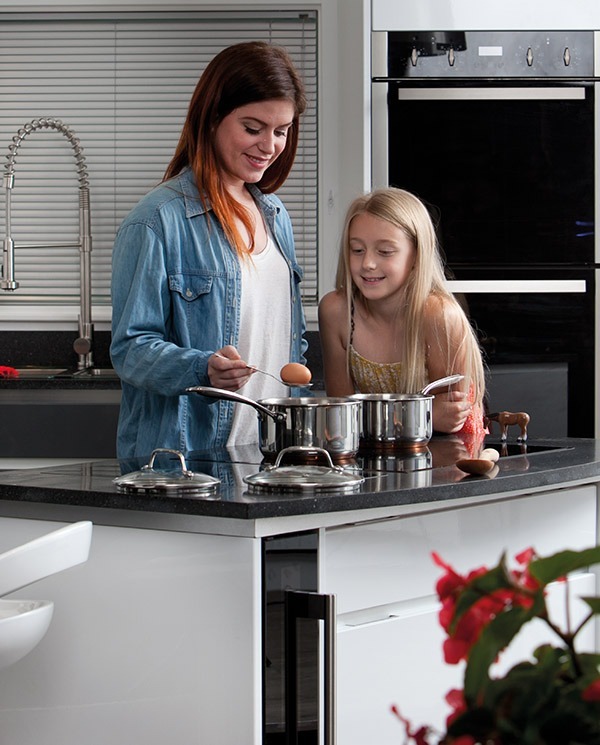 Overflow protection is a clever system that can tell when the pan is about to boil over, adjusting the power level accordingly to minimise accidents and mess in the kitchen. There is also a time limit security system so that you don’t accidentally leave the hob on for extended periods of time. Handy safety key locks work by a combination of keys being pressed simultaneously to turn the system on or off, preventing you or any small hands in the kitchen from accidentally changing the settings on your cooking. 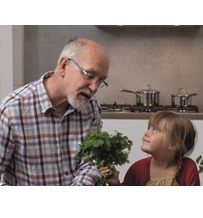 The ceramic hob range that we have designed is available from just two cooking zones up to five cooking areas. Many of the models feature dual zones, which simply means that the zone can operate in one of two sizes at your control to accommodate small pans in an energy efficient way or large pans comfortably. The layout of your hob can also be designed to suit the way you cook with our ceramic range coming in a variety of arrangements, from largest zone at the front to in the middle to all four zones in a linear style for easy access. Whether you choose a model with control knobs, touch control, front or side layout a ceramic hob will offer easy to use, easy to clean, energy efficient cooking for your kitchen. To install an electric hob, please always use a qualified electrician to ensure that it connected up properly and is completely safe to use. What is a bridging hob? 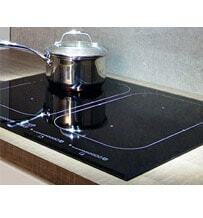 Why purchase an induction hob?